Here at Twenty Over Ten, our clients make up who we are. Every couple of weeks we like to chat with our clients to showcase their financial advisory business and their new website. 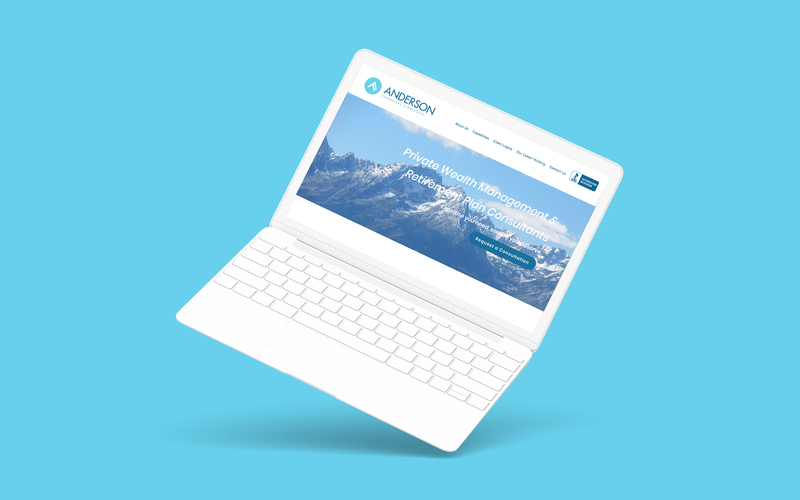 We got the opportunity to interview to Shon Anderson, founder of Anderson Financial Strategies, who built a beautiful and unique website with Twenty Over Ten’s self builder package. Tell us a little bit about your financial advisory firm and its story. We are a boutique firm that intentionally takes on a limited client base. One of our key differentiators is that I am one of the few advisors that holds both a CFP and CFA and it has given me a distinct perspective. This allows us to truly deliver in depth financial services and custom plans for every single client. We also manage corporate 401k plans in a similar manner, understanding every detail of their business financials. 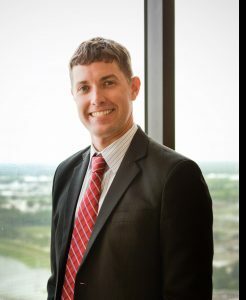 I founded Anderson Financial Strategies a little over 5 years ago but have been in the industry for 15 years now. I was originally working at large financial wirehouses, where there was a struggle to differentiate your brand. I wanted to become an independent financial advisor to better exhibit our firm’s unique set of skills. Becoming independent ultimately gave us the opportunity to create a more personalized client experience that a big box wirehouse could not. I love what I do. One really awesome part of our work is that we get to be heavily engaged with the client. We want to be their first call for financial questions and needs and we really care about the relationship we’re creating with them. We end up with a deep understanding of our client’s financial circumstances and most clients end up becoming great friends. I feel like I was born to do this. What made you decide to self-build your financial planning website? We didn’t, and still don’t, want to look like every other financial planning website. Even though website providers can create something awesome, we wanted to be the ones telling our unique story. No one can tell our story like we can. We had built one website prior but were ready to step up our game. We looked for user friendly, yet professional website providers and found Twenty Over Ten. The platform and self-build option allowed us to take control and showcase our originality. All of the pictures are my own from my travels around the world and the website is very personal yet takes on a global feel. What vision did you have for your website and how does your final product live up to those expectations? 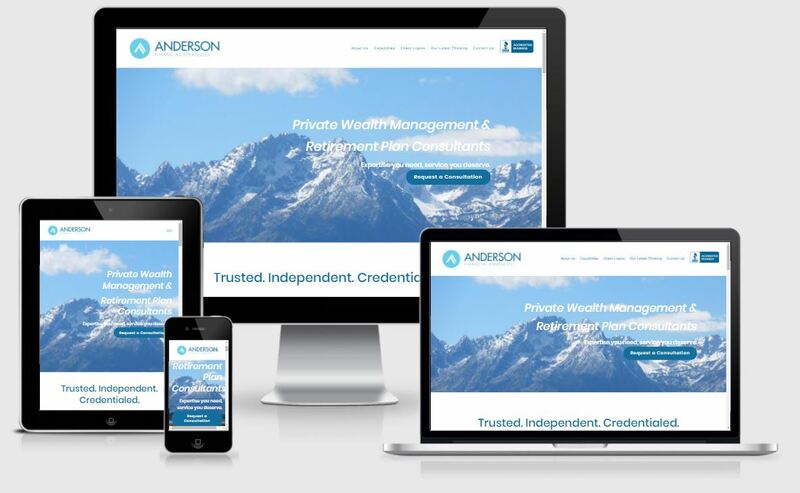 When we decided to redo our firm’s website, we wanted it to be on par with some of the most respected private wealth firms out there. We didn’t want to appear as a small shop, but as a unique professional financial planning firm. Our team took the time to build a website that fit our vision and we are absolutely thrilled with the final product. We are now getting new clients through our websites and connecting with our target market. Building your own website can be a learning experience that is very rewarding. What was your experience like using our platform without the help of a designer? The platform is pretty straight forward and user friendly. We first assessed what framework would best tell our story and then just dived in. From the perspective of building a professional website as a nonprofessional designer, we found it to be very easy. When we did have questions, Ryan was quick to respond and help us out. How long did it take you to launch your website from beginning to end? It took our team about 2-3 months. The most time consuming and challenging part was curating creative content that we wanted to showcase. Adding it to the actual platform took no time at all. We’re always interested to hear about our client’s experiences – what did you like and not like about our platform’s functionality? We really like the one page framework. This style is in really high demand and the way it is set-up makes scrolling to each section of the website so much easier than clicking a bunch of areas. We also love that our website molds to whatever device you’re viewing it from and it is completely mobile friendly. The only thing we could see improving is instantaneous access to support. However, we used Ryan as a resource every time we had a question and he always got back to us within a day, easily solving the problem. What previous experiences have you had with website creation and design? We created one website prior to this on another platform. We developed it extremely fast to just get us on the internet but we probably held on to the platform for too long. Other than that, our team doesn’t have any experience with website design. We are very impressed with how your website turned out! What is your favorite feature? My favorite feature is the parallax scrolling, in which you can scroll over our personal images that stay planted in the background. I captured these pictures traveling around the world and now they have been great talking points with prospects and clients alike. Where do you see your practice in 5 years? We are now in growth mode with a plan to expand significantly in the next couple of years. We’re a team of three as of now but are anticipating adding two more support staff and another advisor. On top of that our goal is to complete an acquisition shortly. With these growth intentions in mind, it is even more important to have professional branding, especially through our website. The first thing I do when I am looking at a service or product is check their website. We know our website says a lot about our firm so we are committed to keeping it current.